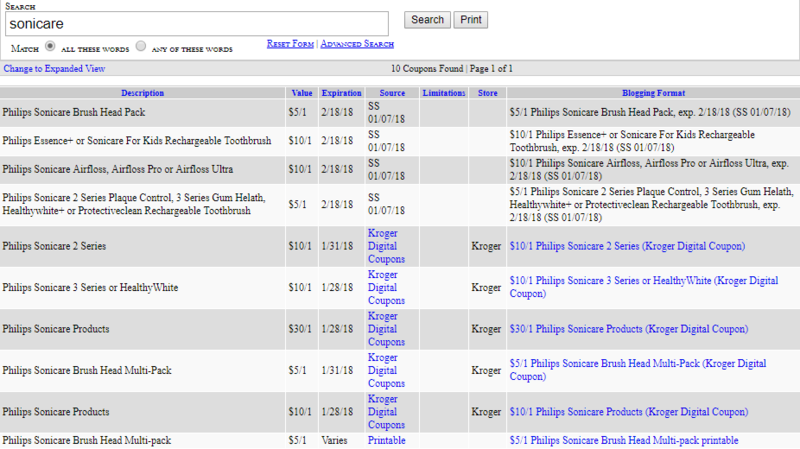 Over 30 New Coupons for the Philips Sonicare This Week ! 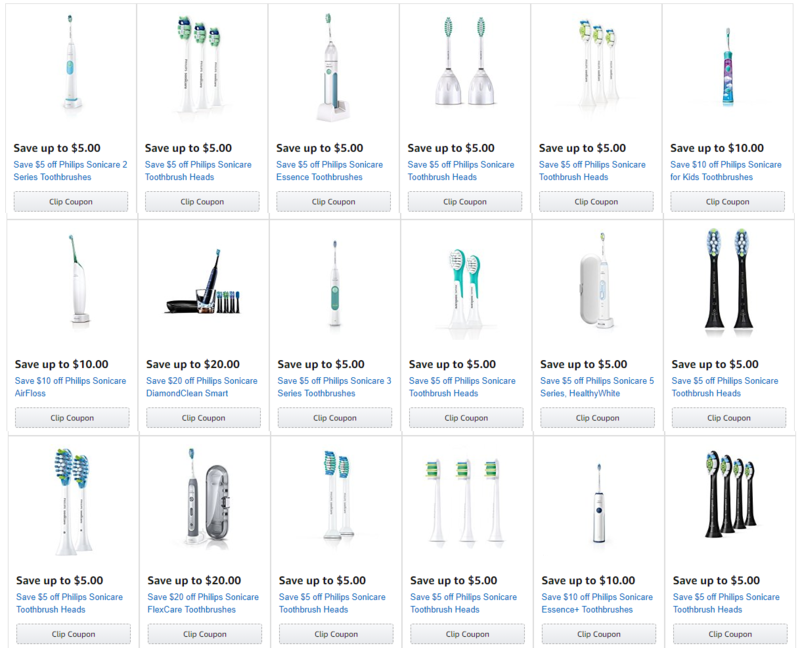 Amazon is really kicking things off with a bang this week, They’ve currently got 20 coupons fro various models of the sonicare and a ton of coupons for replacement brush heads too ! You will be able to save anywhere between $5 to $20 off your purchase. I won’t list all the coupons just check out the photo below or head over to Sonicare coupons on Amazon to see them all ! Next up I checked at Costco they didn’t have any new deals this week. Had some savings on the Oral b electric toothbrush but that was it! Using the Bargain Bin Betty Coupon Database I was able to find offers from Smart Source and Kroger. I took a screen shot of my search results and posted it below. Feel free to message me on our FB page if you have any questions. 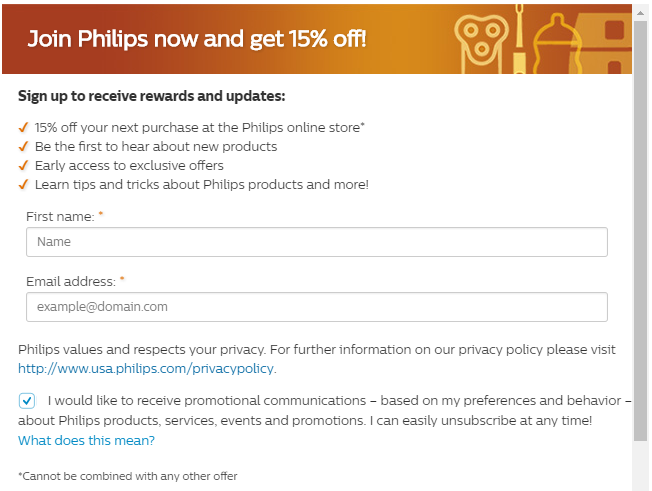 The Company website is also offering some coupons and an extra 15% off when you hand over your email address. Personally I never do this. Not worth all the junk mail that comes along with it but it’s an option! Anyone else found a sale rebate or coupon this week ? Please share anything you’ve found ! I’ll have a look for new rebates tonight ! This entry was posted in Philips Sonicare Coupons and tagged 2018, Amazon, coupon, January, Kroger, Sonicare. ← You Won’t Believe The Sonicare Rebates I Found This Month – Christmas Comes Early!